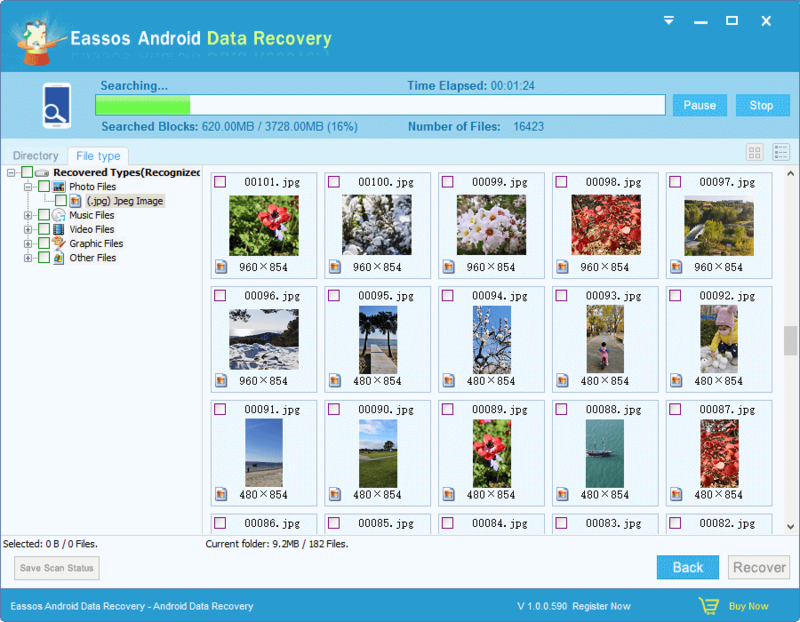 In this article, I will show you how to recover deleted photos from Samsung phones using data recovery software – Eassos Android Data Recovery. It is able to scan the SD card as well as internal storage of your phone and then lost files will be listed and recovered. Here is the step by step process. Android operating system is the most popular mobile system in the world. It is widely used by many mobile phone producers and Samsung is one of the most famous one. Samsung has larger amount of Android users around the world. Samsung Galaxy is one of the most successful series under the brand. If you are Samsung Galaxy user, you need to read this article and learn how to recover deleted photos from it. Data loss happens to everyone and sometimes lost data can be very important files, such as family photos, videos, working documents, etc. If you are troubled by data loss issue, you can easily get back lost data following steps in this guide. Step 1: Connect Samsung Galaxy phone to computer with USB cable. 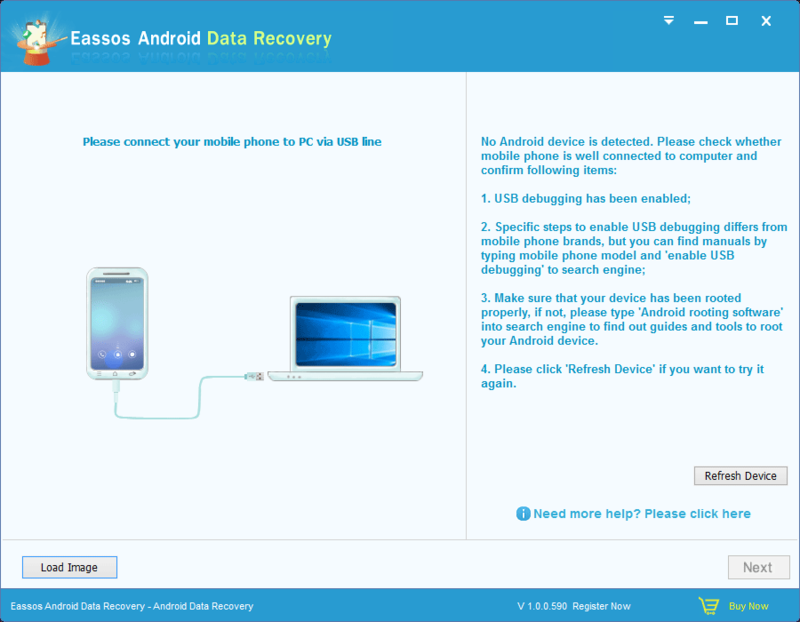 Step 2: Download, install and run Eassos Android Data Recovery software on your computer. The software will detect your phone and connect it. Step 3: Select storage device where deleted photos were stored on and click “Next” to start scanning. Step 4: The recovery software lists all recoverable files after scanning completes. You can easily preview them before recovery. Select files you want to restore by checking the box before every file and click “Recover” button to save them to a safe location on your computer. You can save scan status before closing the software in case of need next time. The scanning and recovery process is read-only and safe, and the recovery process is fast and easy to follow. This entry was posted in Android data recovery and tagged android data recovery, recover deleted photos by EASSOS. Bookmark the permalink.